Add the latest The HPE 361T 1GB Ethernet Server adapter boost in performance and power management with low cost specially designed for your HP ProLiant Gen8 DL/ML/SL servers. 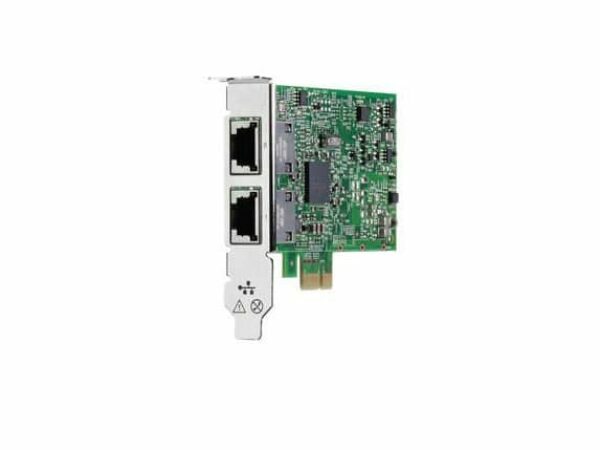 The HPE 361T 1GB Ethernet Server Adapter offers two high-performing 1GbE PCIe Gen 2.1 connections in a low cost, low power and halogen-free design. The HPE 361T 1GB Ethernet Server Adapter is based on the new fully integrated (bridgeless) Intel Ethernet I350 Controller, boost in performance and power management for HP ProLiant Gen8 DL/ML/SL servers and select G7 servers. The HPE 361T 1GB Ethernet Server Adapter can operate at three different data rates (10/100/1000 Mbps).